This is for a piece of new latch hook canvas from Zweigart 5 holes per inch. 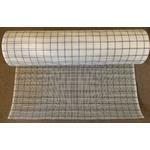 100x167cm canvas for latch hooking and rug making **Brand new stock** High quality gridded canvas from Zweigart Canvas size is 100x167cm long which is ideal for the keen crafters to use for their own designs, or to use in conjunction with stand alone patterns. 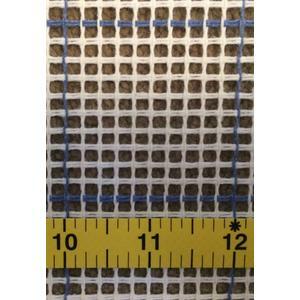 Canvas Count is 5 holes per inch which means you will have approx. 25 holes per square inch. this canvas is perfect for my stock of Easylatch Latch hook Yarn and by using the two together you will achieve a nice thick pile. Each canvas will have a top and bottom selv edge which means it is bound, not ragged and will not snag on clothes or other materials while being worked on.